Strong Process is a Boston based Wellness Conference dedicated to the evidence and science behind the three pillars of wellness - MOVE, EAT, REST. Bojan is a cofounder of the internationally renowned November Project. He's an all around super human, athlete and dad. Topic: Stop exercising to lose weight! How can movement benefit your health, mind and overall wellbeing beyond simply burning calories? Julie owns Starr Yoga in Boston, MA and Hartford, CT. She is a nutrition expert and nationally recognized creator of individual and corporate wellness programs. She believes in real food for real people. Topic: Nourish yourself with the right food! Should you buy and eat organic or conventional for your health and the environment? Melinda is one of Boston's renowned fitness celebrities and premier real estate gurus. She is always on the go, but is learning to stir slowly. Topic: Rest and recovery are critical elements of wellness that are often overlooked. How do you make enough time and learn the skills to truly rest? Michelle Miller aka "The Farm Babe"
Michelle Miller, the Farm Babe, has been featured in Forbes as one of the most followed and reputable voices in agriculture on social media. She is a weekly columnist for www.AGDAILY.com and helps run the family farm of over 2,000 acres in Iowa consisting of row crops, beef cattle, and sheep and is a public speaker where she shares her passion of bridging the gap between farmers and consumers. Dr. Hagan is a graduate of New York Chiropractic College (NYCC) and brings to the practice a passion of working with athletes and active individuals. 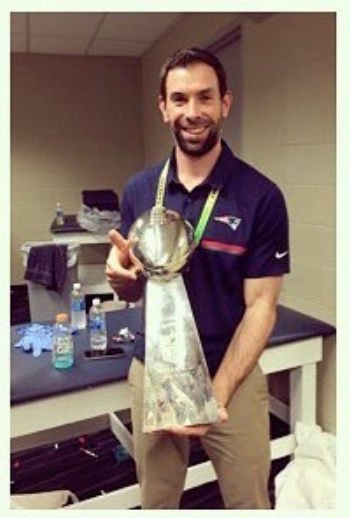 He currently serves as chiropractic consultant to the Boston Red Sox, the New England Patriots, and Harvard University Sports Medicine. Brandon Yates is the senior clinical research coordinator for the Football Players Health Study at Harvard Medical School. Brandon has designed strength and conditioning training programs as well as conducted research on elite and adolescent athletes, older adults, and military personnel at the U.S. Army Research Institute of Environmental Medicine, U.S. Department of Veteran Affairs, The Micheli Center for Sports Injury Prevention, Spaulding Rehabilitation Hospital and the Hospital for Special Surgery. Timothy Griffin is the director of the Agriculture, Food and and Environment program, as well as an associate professor at the Tufts University Friedman School. His primary interests are the intersection of agriculture and the environment, and the development and implementation of sustainable production systems. Christine Spadola is a research fellow with Harvard Medical School and Brigham and Women’s Hospital conducting research aimed at adapting yoga and behavioral sleep interventions for use in low income communities. She uses mixed methods research to better understand health disparities and to assess mind/body interventions to promote health and wellness among marginalized populations. Rachel A. Millstein is a clinical health psychologist at the MGH Cardiac Psychiatry Research Program. Her work focuses on health behavior change, specifically behavioral and environmental approaches to physical activity promotion and obesity prevention. Rachel is the co-founder of the Boston Physical Activity Research Collaborative has studied physical activity and positive psychology with grants from the National Institutes of Health and the American Heart Association. 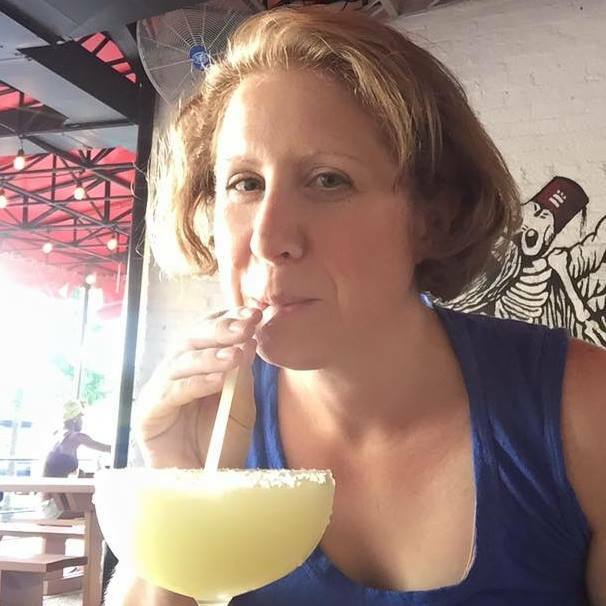 Jenny Splitter is a science, food and health writer whose work has appeared in the Washington Post, Slate, New York Magazine, and other outlets. She's also the Director of Story for TBD Immersive, an immersive theatre company based in D.C, and is featured in the new documentary Science Moms. In her spare time, she enjoys carving intricate ice sculptures and growing her own heirloom wheat. Just kidding, she has two children. Hassan Dashti is a research fellow the MGH Center for Genomic Medicine and the Broad Institute. With a broad background in nutrition and sleep, he is currently working on uncovering the effects of dietary intake on sleep quality. His most recent research examines Circadian Rhythms and disease risk. Karen Fabian is the founder of Bare Bones Yoga. She has a background in yoga teaching, anatomy and rehabilitative medicine through her initial clinical work as a Social Worker and Rehabilitation Counselor and then over 20 years in a variety of health care business settings. She has taught yoga since 2002, and written three books “Stretched: Build Your Yoga Business, Grow Your Teaching Techniques,” “Key Aspects of Anatomy for Yoga Teachers” and “Structure and Spirit”. Whether you're a competitive athlete or fitness fanatic, or someone looking to perform at the next level in your profession, this is the evening for you! We are thrilled to host Josh Summers, RYT 500, to speak about his new book "The Power of Mindfulness: Mindfulness Meditation in Sport" that he co-wrote with Boston University Clinical Associate Professor, Amy Baltzell, EdD. This book offers individuals a clear understanding of mindfulness to help athletes optimize performance. It provides a clear insight on how individuals can learn to increase their ability to concentrate, be fully present during high pressure competition and how to effectively respond to distracting thoughts and emotions (e.g. performance anxiety; dread). The strategies offered are based on Mindfulness Meditation Training for Sport (MMTS), an empirically supported mindfulness intervention, which was created by the Josh and Amy. MMTS has been adopted internationally by practicing sport psychologists – used with collegiate, club, and Olympic teams. Through offering a clear explanation of mindfulness and self-compassion (an essential element of MMTS), brief mindfulness based practices, and consistently offering how such practices link to performance – the reader learns to implement all of MMTS or elements of MMTS to help the increase their ability to focus, cope with difficult emotions, and perform their best when it matters. IT'S NO SECRET THAT OUR MODERN WORLD IS STRESSFUL. 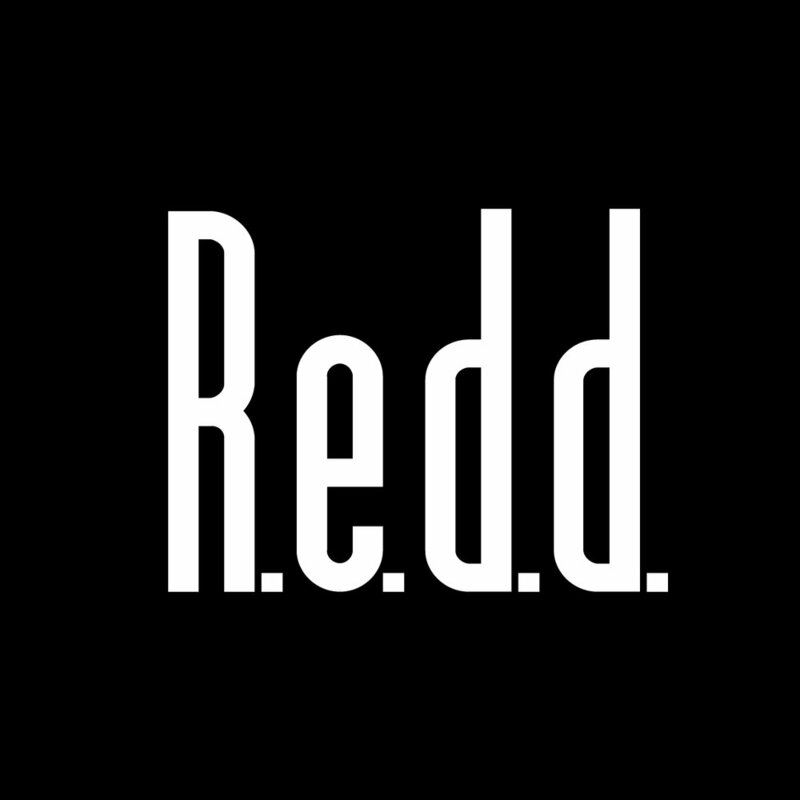 WE WORK HARD, WE EXERCISE HARD, WE PROMOTE HARD, WE PLAY HARD, AND WE RARELY REST HARD. AS A RESULT, OUR BRAINS ARE SUFFERING. THIS STRONG PROCESS FORUM IS ABOUT TO CHANGE THAT. ON NOVEMBER 3, WE ARE BRINGING YOU THE EXPERTS ON MENTAL HEALTH, LED BY FIVE OF THE MOST HIGHLY REGARDED WELLNESS PROS IN BOSTON. THIS FALL IS ABOUT YOU AND YOUR BRAIN, AND HOW MOVEMENT, FOOD, AND REST CAN HELP. Capozzi never stops moving. 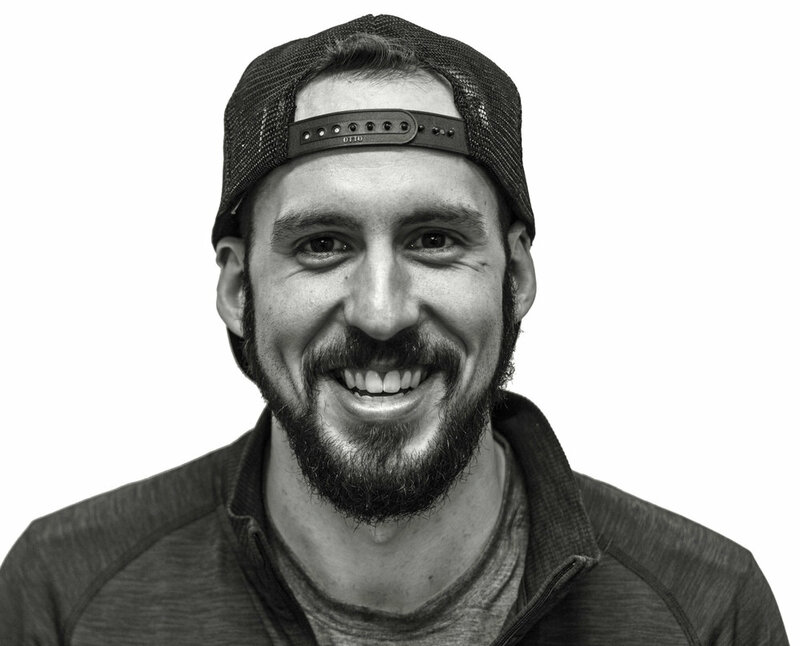 He is a the badass co-leader of Boston's legendary November Project, runs amazing community fitness events all over the city as Boston Local Fitbit Ambassador, and (NBD) daytimes as a Lululemon Asst. Manager. This guy is a serious never ending source of energy and inspiration. Dilan is not only a fireball up-and-coming wellness entrepreneur (girl is a 2nd year Harvard MBA and is currently Chief Wellness Officer) she is an epic indoor cycling instructor at Flywheel Sports and has recently been rocking corporate life at Equinox. She also loves to eat (especially chocolate mousse...even though she's lactose intolerant). 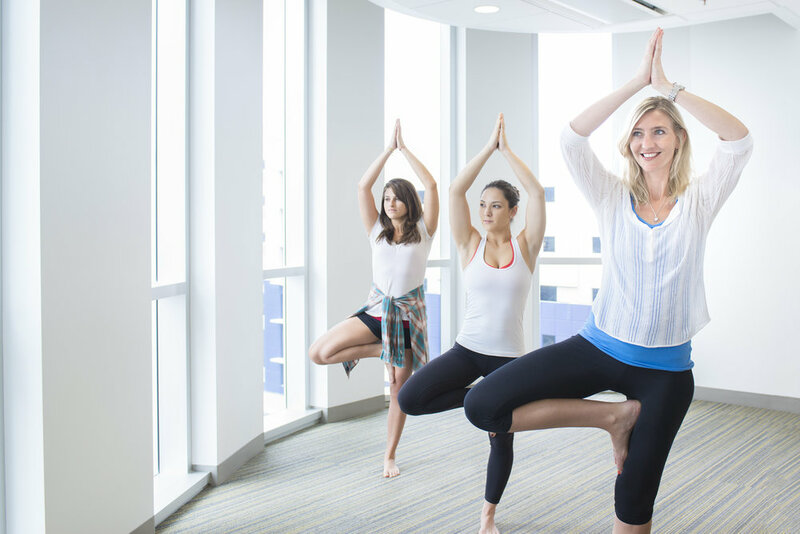 Aly does it all in the Boston Wellness scene. She's the senior lead instructor at the award winning BSpoke studios, a yoga teacher at Exhale and Lululemon ambassador. She also knows when to take it down a notch, and puts a premium on self care, with a recovery regimen that includes meditation, health giving food, and sleep. Melinda is one of Boston's renowned fitness celebrities and premier real estate gurus. She started her fitness career as a Master Instructor at Exhale, is currently an indoor cycling instructor at Flywheel sports, has a RYT-200 from Zuna Yoga in Bali and is a legacy ambassador at Lululemon. Melinda is always on the go, but is learning to stir slowly. Xlodde has risen to Boston Wellness Fame but started her passion for fitness teaching kick boxing at the College of the Holy Cross. After 15 years in the biz, she teaches and trains over 600 people a week in Boston, is a Master Instructor at Flywheel Sports, crushes at Barry’s Bootcamp, is a legacy Nike Trainer and Lululemon ambassador and is a highly sought after personal trainer to celebrity clients. George Foreman III is the founder of EverybodyFights® which started in Boston and has expanded to NYC, Kentucky, Chicago and Philly. EverybodyFights® was born out of the belief that anything worth having is worth fighting for, every single day. The EBF experience comes both in and out of the ring and is rooted in the unique training habits, techniques, and routines of George’s father, George Foreman Sr. EBF classes are designed to unleash the inner fighter in each of us, building confidence and self-esteem while yielding maximum physical and mental performance. Dr. Abigail Koppes is a professor in the Chemical Engineering Department at Northeastern University by way of RPI and the Cleveland Clinic. Dr Koppes work examines the gut-brain-axis, which is a complex bi-directional communication pathway between the gastrointestinal tract, the enteric nervous system (ENS), and the central nervous system (CNS) that is implicated in not only gastrointestinal function, but also cognitive tasks like memory and decision making. She will speak TRUTH on what is actually happening in your gut and how we know it affects your brain. Alan L Balsam is adjunct Associate Professor at Tufts Medical School and BU School of Public Health. He recently retired after 21 years as Commissioner of Public Health in Brookline and led the Division of Elder Health at the Massachusetts DPH for seven years. Appointed to the Massachusetts Cannabis Advisory Board, he serves on its Public Health subcommittee and Research Working Group. Dr Balsam will give us the inside scoop of what cannabis is actually doing to your brain, and if it should be a part of your mental health regimen. Mollie Ewing holds a Masters in Public Health from Columbia University and graduated from Indiana University with a degree in Psychology and a concentration in Neuroscience. She has extensive experience analyzing health based interventions on the brain. Mollie currently resides in rural Indiana and works in prevention and community based services to bring prevention dollars to rural Indiana schools. Mollie will speak to what exercise and movement is actually doing to our brains from a physiologic perspective and how to use movement to boost mental health and performance. 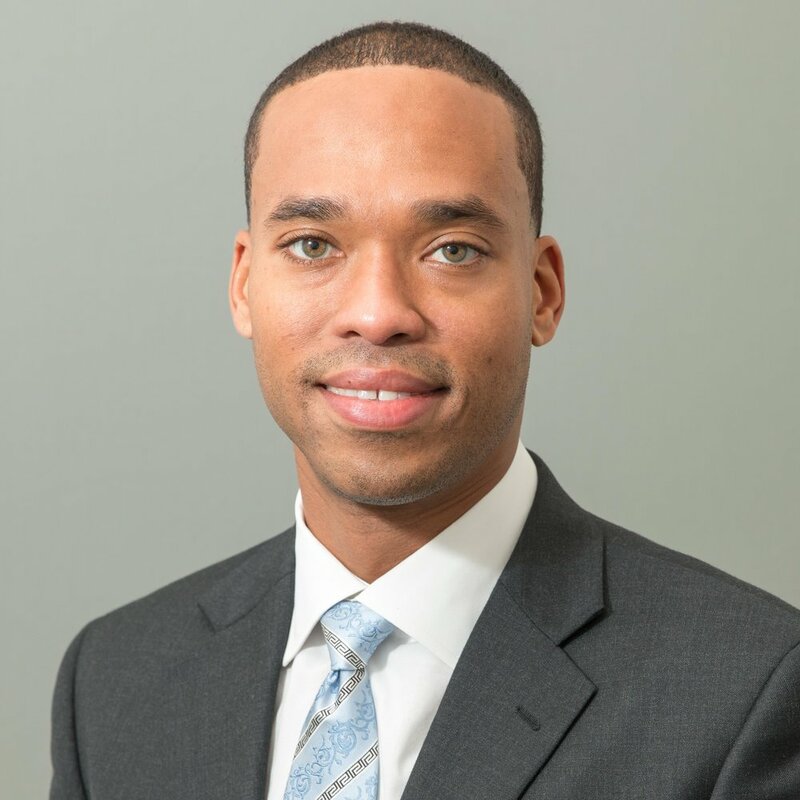 Hailing from the beautiful islands of the Bahamas, Dr Higgins is an interventional radiologist and assistant professor at Boston University School of Medicine. He holds an RYT-200 from the Sivananda Yoga Vedanta Ashram in Quebec, Canada and teaches at CorePower Yoga. He is a member of Boston Medical Center’s institutional Wellness and Professional Vitality Steering Committee and the Graduate Medical Education Wellness Committee. Dr Higgins is an up and coming wellness entrepreneur, obsessed with studying and combating burnout amongst high performance groups such as physicians, executives and athletes. Dr Carey has a PhD in Psychology from Northeastern University and was a Postdoctoral Research Affiliate at Tufts Human Nutrition Research Center on Aging (HNRCA).Dr. Carey’s current research examines how a high fat diet can affect behavior and brain functioning and the cognitive and neurological benefits of eating high antioxidant berries. She is engaged in projects investigating if berry supplementation of a high fat diet can prevent impairments in learning and memory. She is also researching if supplementation with berries can reduce inflammation and increase plasticity in the nervous system of mice fed high fat diet. Dave Nelson is the survivor of a near-death experience, as well as an endurance race competitor, former Silicon Valley sales director, and a leadership mindset, mindfulness and human motivation teacher. In 2016, he founded Milestone Mind, which provides leading-edge mindset and mindfulness training for high-growth people and organizations. Dave has received executive business education from Harvard Business School, undertaken deep meditation practice and education training from Kathmandu University's Centre for Buddhist Studies at Rangjung Yeshe Institute, and is a certified ICF NLP Master Practitioner, Life Coach and CMA Meditation Teacher. Lara Hyde, PhD is the creator and host of Nourishable, an evidence-based nutrition channel on YouTube. Lara earned her PhD studying nutritional epigenetics at the Friedman School of Nutrition Science and Policy at Tufts University. She has taught extensively at Dartmouth College, Tufts University and in the Community College System of New Hampshire. Outside of science, Lara is an accomplished dancer, performing with Boston-based contemporary dance company Urbanity and choreographing musical theater productions. Lara will take a deep dive into the ketogenic diet, and how it effects our guts and our minds! Jacob Mirsky attended medical school at the University of California San Francisco and completed residency at the Brigham and Women’s Hospital in Boston. Dr Mirsky studied neuroscience and researched neurologic diseases before attending medical school. He views patient education and empowerment as the cornerstone of health, and he is a vocal advocate for lifestyle changes for symptom management and disease prevention. He has two clinical positions at Massachusetts General Hospital: one as a primary care physician at the Revere HealthCare Center and the other as a consultation physician at the Benson-Henry Institute for Mind Body Medicine. Sign up for details and upcoming events! Thank you! More details on future events and Strong Process Forums incoming! !